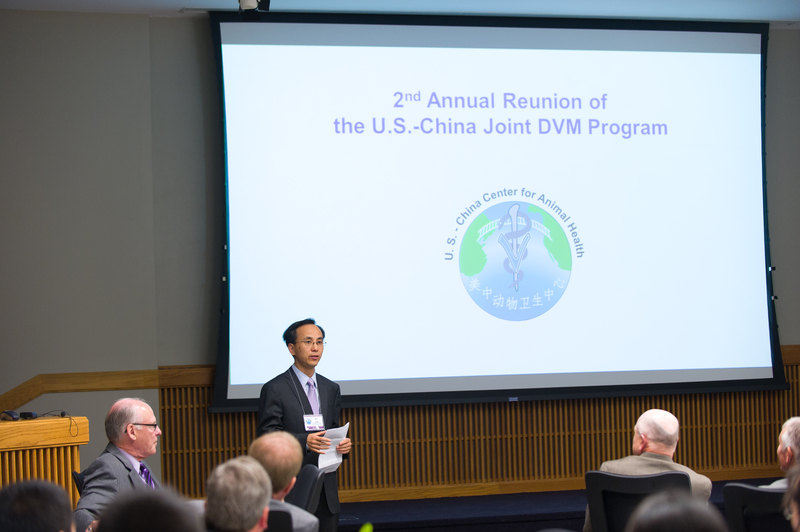 The annual reunion of U.S.-China Joint Doctor of Veterinary Medicine (DVM) was held in the U.S.-China Center for Animal Health (USCCAH) at Kansas State University from Sep. 26 to 27. Deputy Consul General Liu Jun was invited to attend and speak. 12 students in DVM program reported respectively their studies and internships. The directors of veterinary medicine colleges in Kansas State University, Iowa State University, University of Minnesota, University of California Davis, and the representatives of American Veterinary Medicine Association, Zoetis, Banfield Pet Hospitals etc. expressed their viewpoints on how to promote the program. At the meeting, the Director of USCCAH reviewed the history and status quo of the program. The Director of college of veterinary medicine of Northwest Agriculture and Forestry University in China lectured on Chinese veterinary education. Deputy Consul General Liu congratulated the opening of annual reunion and expressed welcome to the new students. He said he believed DVM program would attain the desired results under the joint efforts of all parties. He also hoped that the students keep in mind the motherland's trust, treasure the precious opportunities and serve the country with excellent performance in the future. DVM program was sponsored by China Scholarship Council, in conjunction with 12 agricultural universities in China and 4 agricultural Universities in U.S., with a aim to educate veterinary professionals and improve the DVM training. 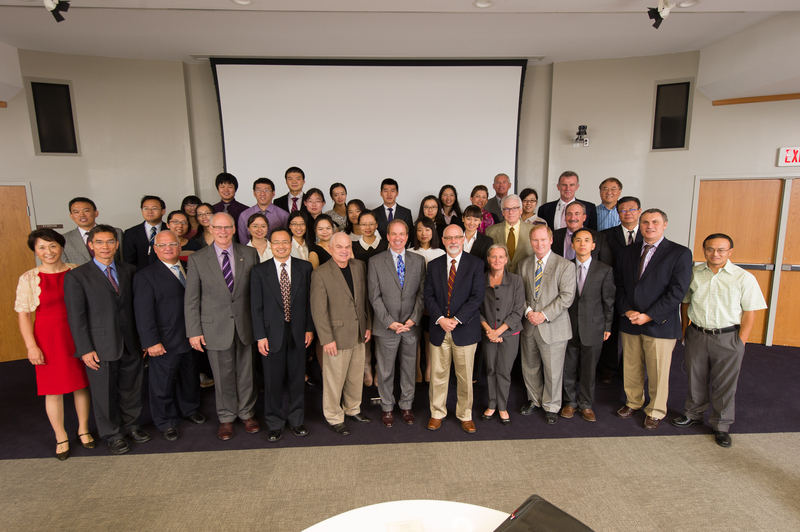 The program was implemented from 2012, and 3 to 6 students will be enrolled into college of veterinary medicine in U.S. from Chinese universities each year. There are 16 students enrolled in the program up to now. USCCAH affiliated to College of Veterinary Medicine in Kansas State University is the principal organization responsible to carry out DVM Program in the U.S.